According to the University of Oregon’s Holden Leadership Center, businesses should strive for open communication between employees and management. 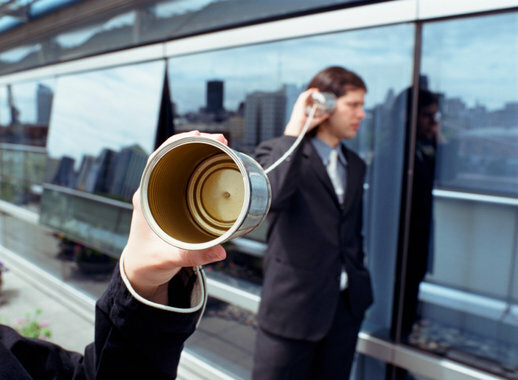 Being able to communicate effectively is not only a valuable trait, it is also a necessity in the business world. Communication plays a role in every aspect of business and takes many forms: written, verbal, and non-verbal. The ability to communicate clearly is important on so many levels. As they say, the customer is always right. Unfortunately, they will not always be nice. And sometimes they can be downright rude. Still, it is up to you to manage the situation, resolve the conflict, and do so while maintaining a cool head. As you can probably imagine, it all comes down to effective communication. In many instances, productivity is contingent on clear, concise communication amongst your employees. Without such communication, it is harder for everyone to do their jobs. Think of it this way. Imagine trying to play quarterback without talking to your teammates (co-workers) or coaches (boss). How would you get the play call from the sideline? How would the receivers know which routes to run? How would the center know when to snap the ball? Without proper communication, an already difficult job becomes almost impossible. According to the University of Oregon’s Holden Leadership Center, businesses should strive for open communication between employees and management. Employees should feel comfortable approaching managers and managers should be willing to actively listen to what their employees have to say. This will help foster an environment of trust and boost morale and productivity. Being able to communicate effectively is a valuable business tool, but what do you do when communication breaks down? Actively Listen: Communication is a two-way street. One person talks and the other one pays attention and listens. Without both sides, you cannot have effective communication. So the next time a customer, co-worker, or manager approaches you, give them your undivided attention and do your best to actively listen to what they have to say. When they are done, rephrase what you just heard. This is not only a great way to show that you were paying attention, but it can also help you retain important aspects of the conversation and gives both parties a chance to clarify if there is any confusion. Pay Attention to Body Language: According to Dr. Albert Mehrabian, 93 percent of all communication is non-verbal. This non-verbal component is made up of body language (55 percent) and tone of voice (38 percent). What you should take away from these statistics is this – the way you carry yourself often says more than what comes out of your mouth. So try paying particular attention to your body language the next time you have a conversation, particularly a conversation where you may be dealing with a difficult customer or client. Be Flexible:According to CareerBuilder.com, when it comes to communicating at work, one size does not fit all. Just as everyone is different, the way you communicate with everyone must be different as well. You must be able to read the situation and adapt accordingly. In many instances, this will mean changing your method of communication. Some people prefer phone calls, other prefer emails, and still others prefer face-to-face meetings. Try Team Building: Good communication is like a muscle. In order to develop it, you must work at it – you must practice. At Terrapin Adventures, our custom team building programs challenge your group to step out of their comfort zones and encourage them to work together and communicate to solve certain tasks. Conveniently located in Howard County, Maryland, between Baltimore and Washington DC, our experienced staff is able to create a customized program (onsite or offsite, indoor or outdoor) that exceeds your requirements and helps improve communication and cohesiveness among your employees. If you have any questions about how team building can help improve business communication, please call Terrapin Adventures at 301.725.1313, or email us at info@terrapinadventures.com to learn more. You can also follow Terrapin Adventures on Facebook, Twitter, LinkedIn, YouTube, Google+, and Pinterest for up-to-date information on events, trends, and other fun and exciting outdoor activities. This entry was posted on Wednesday, July 22nd, 2015 at 10:42 am. Both comments and pings are currently closed.